SRAM saw the opportunity to make a better press fit system where all the best from BB30 and PressFit bottom brackets would be combined into one captivating package. 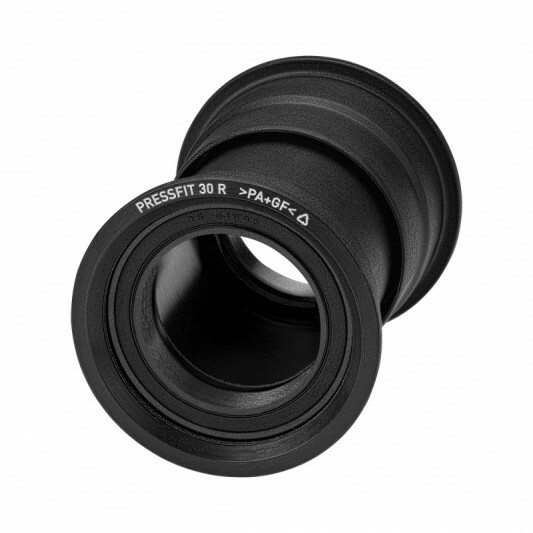 PressFit 30 will feature an integrated seal, pre-assembled into the cups, to further prolong bearing life. The key difference with PressFit 30 is how the bearings are fitted into the frame. Bearings are housed in nylon cups which will be pressed into the frames bottom bracket shell. This bottom bracket is designed for 30mm spindle cranksets. Frames will need a 46mm inner-diameter bottom bracket shell to accommodate this system. PressFit 30 for road will require a 68mm wide shell. This is the perfect bottom bracket for your new Ridley X-Night or X-Fire Frameset!